Cupcakes are so popular because they are an individualized treat. 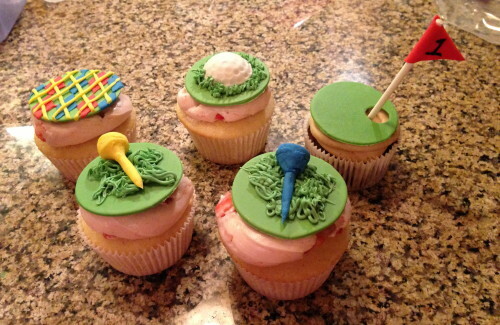 These cupcakes were so fun to make and each one had one of these 5 golf items. We had 18 holes of course and several golf balls and tees on icing grass. The cupcakes were a mix of vanilla cake with strawberry buttercream and chocolate cake with espresso buttercream.